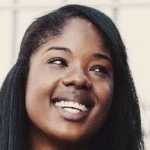 Mariah Smith is a writer and comedic performer in NYC. You can follow her on Twitter @mRiah. I have to admit that as big of a Kardashian enthusiast (...and critic) I am, I was skeptical sitting down to watch the much anticipated Keeping Up with the Kardashians 10 Year Anniversary Special, celebrating a decade of the series and its upcoming 14th season. Not only due to my persisting annoyance with the titling of seasons that don’t equate to the amount of years they’ve been on TV (see: Making the Band 2 Season 3, etc. ), but also because I was leery of just how much new and exciting content we’d get out of a family that we already know absolutely everything about. At this point, no amount of unaired footage is shocking because we’ve seen a variation of it all for a decade. But, I was happy to prove myself wrong. During the 90 minute special, tears were shed on my part as I was able to watch my favorite family (sorry, mom and dad) sift through the most important moments of their lives that I was lucky enough to enjoy from the comfort of my home. Looking back at unaired footage, like Kim’s constant mentions of a stomachache during her early weeks of pregnancy with North, and how Kylie’s stripper pole dance was the first headline making moment of the series, and really solidified their future as TV royalty. Like Kris puts it, she has the best home videos in town, and she’s dang proud of ‘em. So, I’m not ashamed to admit that after finishing the special, I all but turned into an emotional Hulk yanking my television off its mount to ship it to Kris Jenner and Ryan Seacrest as a peace offering, along with a handwritten letter riddled with salty tears begging for a blood promise that they’d remain on TV for at least another decade. My emotional journey aside, the special got me thinking about just how important the Kardashian and Jenner (and Disick and West) family has been to the celebrity and pop culture landscape we know today. Their impact is not just seen in a projected $1 billion dollar revenue from Lip Kits, just under 560 MILLION followers combined (for the main ladies alone), or the 9 other spin-off series, including the most recent Life of Kylie, but it’s also seen in how almost every celebrity event is tethered to the Kardashian empire in some way. Forget “Six Degrees of Kevin Bacon;” it’s currently, and most likely forever will be, Six Degrees of Kris Jenner and her offspring. Sunday night’s special starts with a look at the Kardashian-Jenner family as they were in 2007. In never before seen footage sent to E! to first pitch the show, Kim Kardashian (and her impossible to maintain baby voice) narrates her family, clad in cotton dresses over leggings, fighting with one another and showing their “goofy” side as a fun-loving and rich enough family that doesn’t take anything or anyone too seriously. You get the idea that they’re the neighbors of an A-Lister, so they’re sufficiently in the know about Hollywood shenanigans, but not so deep in the game that they’re unrelatable. Also, this was a time when we knew Kim Kardashian, the star of the show, as a by-product of the famous people around her. Namely, her infamous ex-boyfriend Ray J, and former boss/kind of friend Paris Hilton. But that was 2007. Today, Paris Hilton and Ray J might be considered “nobodies” to someone born after 2001. It’s possible that they became naturally irrelevant, like most celebrities do, or they hadn’t cracked the Kris Jenner code. In the special, Kris hits the nail on the head, when she mentions that the key to their success isn’t just keeping it real, but it’s also a game of numbers. She says that when the show premiered, the stars were aged “7 to 60,” so anyone who sat down to watch the show could feel like their point of view was represented, even Olympians! That’s why everything that’s happened to anyone in the Kardashian/Jenner/Disick/West family, has happened to you or a loved one. From the best of times (Kourtney pulling Mason out herself while giving birth to him in 2009) to the worst of times (Lamar Odom’s nearly fatal overdose in 2015) and everything in between (Kylie Jenner pole dancing as a child or the many divorces), they’ve left no stone unturned when it comes to “real life” and that’s tremendously hard to do. From divorce, to (near) death, parenthood, fertility struggles, and transitioning, they have covered it all. As foolish as she is with her personal beliefs, Caitlyn Jenner allowed the world to watch her transition in real time, and the the rest of her family allowed us to look in. For the first time, people around the world got what was (most likely) their first firsthand account of what life looked like for a person who was transitioning and their family, as they coped with such a change. Unlike marriages or babies that may or may not have been made-for-TV, Caitlyn’s story and journey was alarmingly real and you can’t direct or storyboard the emotions that go along with it. The impact of that phrase and the family is so pervasive, that even Kardashian Enemy #1 Taylor Swift, can’t escape it. When she dropped the first single on her upcoming album, Reputation, she was accused of “breaking the internet.” Though she might not enjoy her new music being even more tied to the Queen of Calabasas, it’s what the music deserves, since we wouldn’t have Taylor Swift 2.0/lover of snakes, if it weren’t for Kim and her exposure of Taylor’s lying last year. If I were to really lay bare the true minutia of how the Kardashians have influenced everything today, we’d all be dead before I finished. It would also make it impossible for me to keep up with what’s actually happening to the Kardashians in real time, since it only took 5 months for the family to add to the family tree from the time the special filmed in April to its premiere tonight. You see, the Kardashian and Jenner’s filmed the special on April 27th, just weeks after Kylie and her soon-to-be baby’s daddy Travis Scott first started seeing one another at Coachella in mid-April. And as I’m sure you know, they’ll be expecting a baby early next year since Kylie is allegedly pregnant. Good luck, keeping up, because in just five months, Kylie’s given us more of a storyline than she ever did on KUWTK and even her own show Life of Kylie. As, we know, babies don’t slow Kardashians (or Jenner’s) down, it only makes them and their brand stronger. And who wouldn’t want to celebrate a decade on the job with a career boost and the ultimate promotion in the Kardashian empire, which is becoming a mom, of course. What it really boils down to is that the Kardashian empire dominates our current pop culture. If you don’t think so, then I regret to inform you that you aren’t paying attention. Take a look at anything you love and if you look closely enough, you’ll see the influence of a Calabasas-born babe staring right back at you. It’s almost like they’re the color cerulean (I see you, Miranda Priestley! ), but in the form of people. Essentially, they’re the matriarchs of Pop Culture’s family tree, and every branch below them is something you love, even if you won’t admit it.